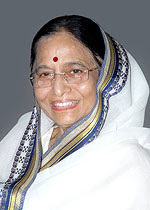 President Pratibha Patil addresses both houses of parliament on 4th June 2009. She spell out the agenda of UPA led government in her speech. The flagship programme of UPA NREGA will now be supplemented by Rs 3 per Kg rice to 26 million people(one fifth the price government buy); also after Meira Kumar elevated to the post of LS speaker the UPA government gives signal that the government is serious to bring women reservation bill during this term to give 33 % reservation to women in parliament and assemblies and also 50 % reservation in local bodies like that in Bihar and Rajasthan.Revival of economy and good relations with Pakistan with zero tolerance for terrorism and stern action against insurgency and left wing extremism is also highlighted in her speech. The government is keen in bringing the 100 day agenda nd making reform in buraucracy and emphasising on social esctor reform are high on the list of the new government.